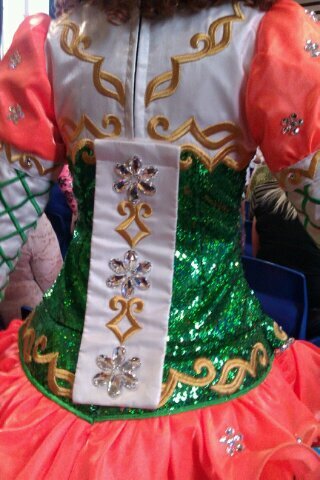 Lovely Siopa Rince dress only 8 months old and worn by a open dancer aged 11 years. only selling due to daughter gone very tall. 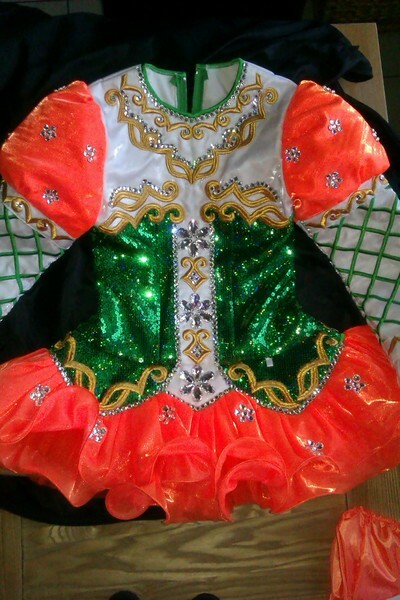 Orange, green sequins and gold celtic design, covered in hundreds of SW crystals. the dress is in Exellent condition with no make up or tan stains, it is kept in a dry place and we are a pet free and none smoking household. 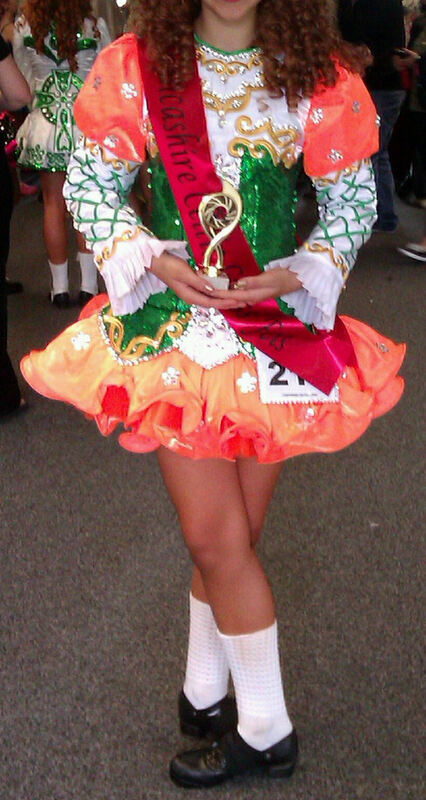 please email if you require any more information I have many more photos and the dress comes with orange kick pants and headband. we can offer a skype message so you can see the dress close up. 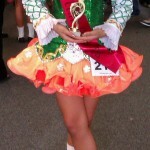 The dress cost me 1500 euros and I have the reciept if required. This dress is Unique and very eye catching. 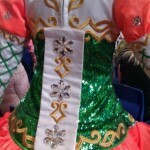 We have pictures of the back of the dress if required. Dress could be let out by the darts. Asking Price: £850 OR VERY NEAR OFFER. Shipping costs are not included in the asking price. Sale is final.